How fun! I was wondering if there was a site like that. Craigslist can be kind of sketchy at times. To save money we decided not to have floral centerpieces. I love flowers but they are very expensive and I couldn't find any types of arrangements that blew me away. So we're doing an arrangement of different sized moroccan lanterns on each tables with petals scattered around them. At the end of the night guests will be invited to take a lantern home as a gift and we should still have some left over for ourselves because I really love these lanterns. Total cost for 15 tables about $300 and we get to keep it! Green weddings are really difficult! My premise is to buy as many materials that can be reused somehow in your married life or given away as favours. I am considering buying a dress that I could modify (dye or otherwise) so that I would be able to wear it again. I really dislike the idea of spending hundreds (or thousands - eep)on a dress that I will wear only once). Butter by Nadia has gorgeous dresses that you could also wear a variety of ways. To save money and make the wedding more green I'm planning on making my own potted centerpieces; any other flower arrangements I also plan to do myself in vases that my mom and I already own. In addition, my fiancees sister is getting married about a year before us and she has purchased some lovely lanterns and other decorations from eBay that I may use as well (yeah! to lots of reusing). I haven't seen the movie versions yet, but both "The secret lives of bees" and "peace like a river" are amazing books. I plan on building clay bouquets to save money AND avoid purchasing something that will die; we're also not doing RSVP cards. Guests will be able to either 1. e-mail me; 2. call me; or 3. RSVP via our Web site. This will save us money, and save on paper. my answers to #1 and #2 are the same - do less. Buy less, use less - consider what you really need and want and what you can do without or cut back on. We are considering webcasting our wedding for my fiance's family in India so that one) we can reduce the number of guests (price) and two) reduce the number of people flying commercially across the country (planet). Regardless of whether or not we webcast, we will be making several DVDs of the wedding to share with family that can't fly over. Those hairpins are gorgeous! And what a great website! I am planning on buying a used/vintage dress which will both save money, and count as reusing :) There is a little bridal resale shop in the hometown of my fiance that I'm planning to check out over Thanksgiving. I am excited to support a local shop as well! And the mother of a classmate from high school is a seamstress, so I will again save money and support my community! 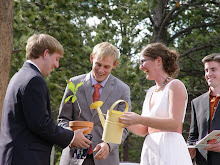 here are a few ways we made our wedding less expensive, more green, or in some cases both! 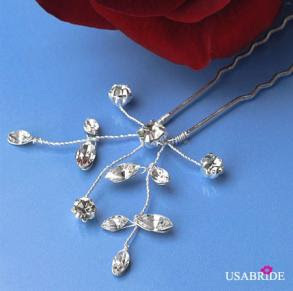 Those are very pretty hairpins! Still planning so more things may come up! I'd have to recommend the book Mountains beyond Mountains by Tracy Kidder. The work is a biography of Paul Farmer, an American physician who has dedicated his life to improving health care throughout the world, primarily Haiti. Dr. Farmer is virtually a genius and has dedicated every aspect of his life to doing good. Unlike other works, however, that highlight the amazing accomplishments of one individual, Mountains Beyond Mountains leaves you with the feeling that you too can elevate to this height of greatness. It is not only informative about health care reform, but reminds the reader about the importance of doing their part to help protect the world. Money saving idea: we are having the wedding at a refurbished barn owned by family friends. It is in the mountains, in the fall. We wont have to worry about decorating much at all!! We are focusing on the reception- Its going to be casual but with lots of tasty food. We are doing finger foods- appetizer style. Our theory is that people will think they have eaten more becasue they will have many more choices- and its less expensive than feeding everyone steak!! The site looks really cool, I'll have to bookmark it. As for my new "must-see film": Rachel Getting Married...it's a really wonderful story of family, love, addiction, and dysfunction. But very touching. The music is wonderful, and as the titled suggests, it's centred around a wedding that can show you a bit about being green, and saving green (yes, I'm aware, that was completely cheesy). I want to answer all the questions, but I'll have to go with #3 since I always want to talk about what I'm reading and there aren't always people around who want to listen. I teach 9th grade English, and lately I've been trying to beef up my YA lit knowledge, so I can recommend interesting books to my students. I've always been a big reader, but I never got into YA stuff (I think I was a little bit of a book snob, actually). Now that I'm reading it, I realize there are some really awesome authors, like John Green who has written An Abundance of Katherines, Looking for Alaska, and most recently, Paper Towns. All three of these were really great, but I'd especially recommend Looking for Alaska and Paper Towns. Green creates the most fascinating narrators and deals with deep almost-philosophical themes in a really accessible way. And since you brought up reusing in your post, I thought I'd mention that I got most of my new YA collection from a site called bookmooch.com (the rest I checked out from the library). I get points by offering and mailing out extra books I have, and use points to "mooch" books off other members. The only cost is mailing the book (cheap if you send them via media mail), and I feel good about the whole process. I'm not contributing to more resources being used to produce new books; I love that I'm redistributing my "unloved" books to people who will appreciate them more; and I feel connected to strangers every time I mail or receive a book. Highly recommended! I know I'm a bit late to read this finally, but OH.MY.GOD. It was so compelling and challenging and engaging and has really encouraged me to reconsider my eating choices. Being concerned about health, I eat a lot of fruits and vegetables--and that is good, but Kingsolver has a compelling argument for why we need to change the choices we make regarding the types of food we eat. It ties into weddings, too, because I'm now convinced that what is more important for the feeding of our party is not cost but rather locality. Since our party will be in summer in Michigan, it's ridiculous to NOT have locally produced, seasonally intentional food. So many farms in the area mean that there's no excuse to serve anything other than local. I have not stopped talking about this book since I finished it. I've already started rereading it (I finished it two weeks ago). I loved every single aspect of this book and cannot recommend it enough! I'd have to recommend The Beloved Works of C.S. Lewis. It's a bit of a read, but well worth it! 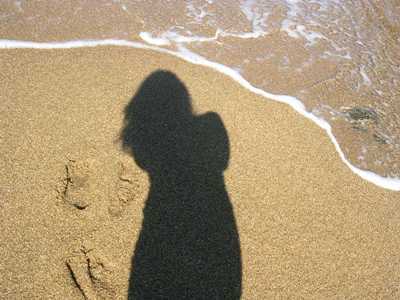 To read his biography is to touch the mind of a genius. Amazing man, stunning story. It left me reeling for weeks and many of his thoughts have stuck with me. to save money, we didn't have things that we felt weren't noticed- monogrammed runner, cake topper, gorgeous church. In the end, hub's home church - not gorgeous, but it was affordable. 1. to save money i plan on using potted flowers as our center pieces - we're having a fall wedding and I'll be able to buy potted mums for around $10 a piece. 2. to make it green - we are not using any disposable plates, cups, or silverware. 3. 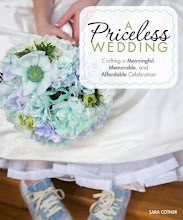 Books - i have a budget brides book that is awesome - it gives me so many ideas on how to save money! To save money, we chose a really casual site for our wedding (state park pavilion) and are making it more like a family daytime barbecue than an EVENT. It's a gorgeous place, it means something to both of us (it's our favorite hiking spot), and it has cool additions like fireplaces (s'mores!) in the pavilion, so we don't feel like we're giving up on anything. And it's a steal for $150 for the whole day. I doubt there's ever been a wedding at this site, so I suppose my advice is that it pays to look for non-traditional sites, as long as you don't have your heart set on a traditional wedding. Wow! Thanks for sharng the new source! I will check it out an hopefully find some goodies so that I can continue to impliment the 3 r's into my wedding!! We, too, are potting a bunch of little pots with moss and tiny blooms - these will double as table decorations and party favors that our guests can re-plant at home. Also, in the spirit of re-using, we bought vintage wedding rings. My dress is made locally with fairly-traded organic fabric. 1. wearing a used dress that I purchased on craigslist. Once the wedding is over, I will either be donating it or giving it away on craigslist. 3. For the bridal party, I will be using clay flowers. My idea for saving $ on a wedding is with the cake. You can have the top tier real, and the other tiers made of hollow cardboard. Most bakers will do this, and will decorate all tiers, so you can't tell the difference. You can serve the guest from a large sheet cake that you or a friend makes. 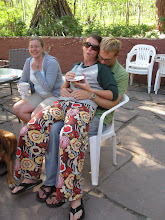 My fiance and I got really lucky - we were having such a hard time finding a venue to have our wedding at - we didn't want it in a church, and in "middle-of-nowhere, south dakota" there really aren't many places other than churches to have weddings - so one day we discovered a little-known bed & breakfast about 15 miles away from where we live, and they are basically letting us use their place for our wedding in exchange for my fiance taking professional pictures for their website, and now they will also be able to advertise for weddings there as well! My one idea to save money and 'go green' was to purchase an already worn wedding dress. I saved a ton and it was in perfect condition. I'm planning on reselling it after our wedding. To save, we're having the wedding party wear their favorite clothes -- no fancy, matching stuff. And if they don't have a fav, we're buying their clothes for them (they pick it out, we pay -- it's our thank-you!) from a second-hand discount shop. We want them to be comfortable, happy, and feel welcome just as they are! We are doing sooo many cool things to save money AND be green at the same time. 1.) Our venue is FREE thanks to our wonderful friends that are letting us use their vacation home. 2. )Our photography will be free thanks to the same and amazing talented friends who just happen to be professional wedding photographers. 4) We (actually my other dear friend is doing all the work on this part) are buying lots of inexpensive fabric to make table clothes, runners, napkins. 5.) Flatware and china (in our wedding colors)will be from ebay and local thrift stores. We'll resell the flatware after the wedding and let folks break their plate after dinner (and a wash) which we will make into a mosaic table top for our backyard. -Bought a white evening gown @ Nordstrom on sale for $150! -No favors. we're potting live plants/herbs/flowers as decor. Guests will be encouraged to take those. -Short outdoor ceremony. Everyone stands. No need to rent chairs. 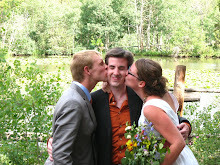 -Ceremony & reception @ the same locale. No driving. -Moissanite engagement ring. No diamonds, but just w/just as much sparkle! Q. What's a movie you've seen or a book you've read recently that you'd recommend to others? A. Young @ Heart. It's a documentary about the Young at Heart Chorus in Northampton, MA. The Chorus is made up of older people (average age 81), and they perform a really diverse collection of songs from Talking Heads to The Ramones to James Brown. It is an uplifting, sad, sweet, funny and amazing movie. Planning a wedding right now is crazy expensive. We just moved from SD to CO, and so money is pretty tight. We're getting married in april in SD, and are lucky enough to have friends and connections to make things a little cheaper. I used to work at a bakery, so we're getting a good deal on the cake. The DJ is a friend of one of my bridesmaids, and we got a discount that way! Clearance dresses and group deals are the way to go! This can be one of the most expensive things in a wedding. I've been researching prices of local area photographers, and the cheapest I found was $500 for a package and $100 per hour on top of that. That just doesn't cut it for me. I'm a college student and I just cannot afford to spend that much money on our pictures. SO-- I've come up with this crazy idea. I know several college students who are big into photography (they are majoring in that area). I'm going to browse through the portfolios of the students and inquire about wedding photos. I've heard of tons of new photographers who will do shoots like this for little to nothing to help build their portfolio. If you like their previous work, why not go for it? We're doing a lot of green, cheap things that we're really excited about! First, we live in NYC, and weddings here are over the top expensive, so we really have been thinking about alternatives. We're getting married in Prospect Park in Brooklyn, near our apt. The fee is $25, and the location is beautiful! Then we're going to a restaurant for Brunch (most inexpensive meal) in our neighborhood that uses amazingly delicious local organic food. (Vegetarian as well.) We're going to have a wine/cheese party at night at our friend's amazing loft in Chelsea, where we'll eat our homemade cupcakes and hang out with our favorite people! "What Would Jesus Buy?" is Morgan Spurlock's 2007 documentary on Christmas consumerism and its social, social justice, economic and environmental impact. Unlike "Super Size Me" it doesn't follow his story, but instead follows a performance art troupe that tries to convince people to stop shopping. Some of it is like a time capsule, given this years economy, but it looks at what Christmas has become and what its' done to America and the world. It looks at child labor, credit card debt, Christmas season depression, advertising aimed at childresn... the whole shebang. The main character is more than a bit nutty, but the themes are incredibly poignant and relevant. I went to a free screening (at a local green non-profit) with three girlfriends. We stayed afterwards for an hour, discussing the movie, our values, and how to really have a meaningful holiday season. I'd highly recommend it as a talking piece film for rental. 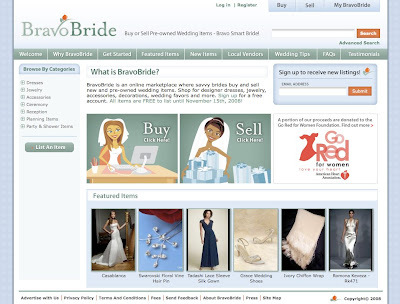 To save money on our wedding, we created a blog and have used it as our "wedding website". We are also asking people to RSVP by phone, email or via our website as to not have to waste money on extra postage--us nor our guests! 2.) For making our wedding more green, I am looking to reuse as much stuff as possible (whether in its original state or a artistically altered one)- I am a seasoned thrift store/goodwill shopper and relatively creative person who can make things look lovely :) I'm excited to start the DIY projects! 3.) The movie "stranger than fiction"- quirky, funny, and inspiring. love it. I will answer the last question since I was recently enthralled with the Josephine Bonaparte trilogy by Sandra Gulland which I read at the insistence of a friend. I think I read all three in a little over two weeks. Such an amazing story and perspective on history. To go green, we've decided to forego having programs, favor tags, menus, and seat cards...PAPERLESS! We've also decided to use bamboo as a recurring theme. A stalk of bamboo can grow as much as 2 feet per day, so we like the idea that what we use on our special day will have grown back by the time we hit the dancefloor!